It’s a double wammy weekend….My Husband celebrates a birthday today and Father’s Day on Sunday. 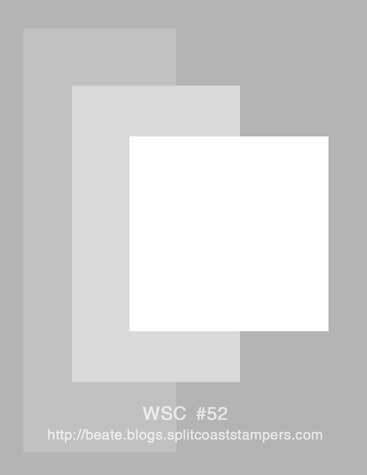 For Beate’s wsc, I had to create at least one card for him. Upon completion of the card, I saw that it could be for either occassion. I decided it will be his Father’s Day card from the kiddos. ACCESSORIES: Soft Sky Dbl-Stitched Ribbon, Horizontal Slot Punch, 3/16″ Corner Rounder Punch, Crimper Tool. Oh wow, I don’t think I’ve ever noticed that set in the catalog, MJ! I love this card! This is just adorable Mary Jo! So, so sweet! Have a great weekend! 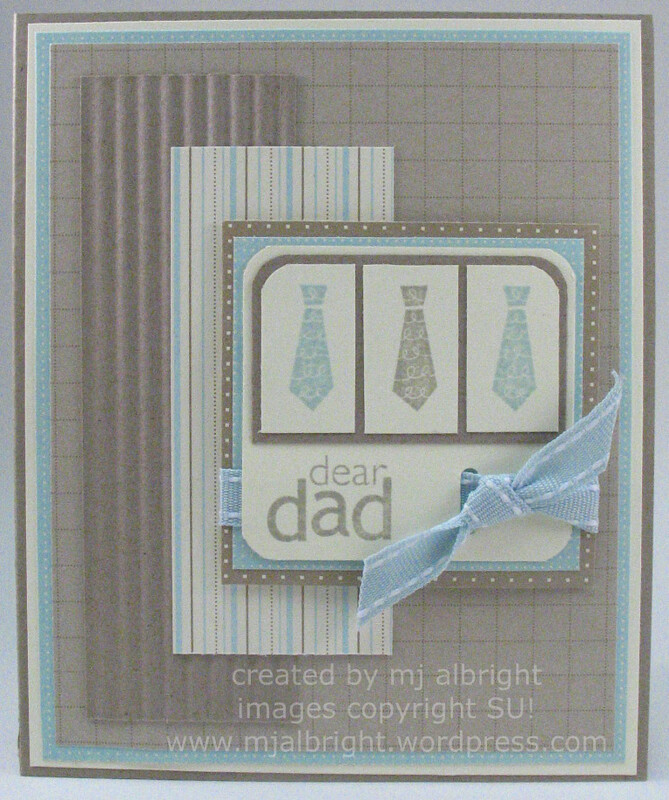 MJ, I love these soft colors for a masculine card and the ties are perfect for Father’s Day! I hope you enjoy all your festivities this weekend! Great masculine card Mary Jo. I bet your hubby will love it. Love the colors and dp you used. This is SO cool… I love the colors! Have a wonderful weekend! What a great card!!! I have never even noticed that tie in the set! WAY cute!!! Now, i wonder if that set is going to retire…hmmm…I just might have to get it! Wonderful! I love the colors, the layout the whole idea. All of the details are perfect. Great card. Love this card and the colours are amazing together! I really like your design, with the rounded corners and the way you tied your ribbon around the main image! The colours look great, too (but then again, I’m already crying the loss of Soft Sky). My Dad also has a birthday right next to Father’s Day (June 17th), so he always gets a single card for both. Masculine cards are hard, so I’m okay with that!